A benefit for Music Hall members at our Contributor-level and above, Book Club meets the second Monday of the month in the lounge at Portwalk Place from 6-7:30pm. Evenings include time for socializing followed by a moderated discussion. 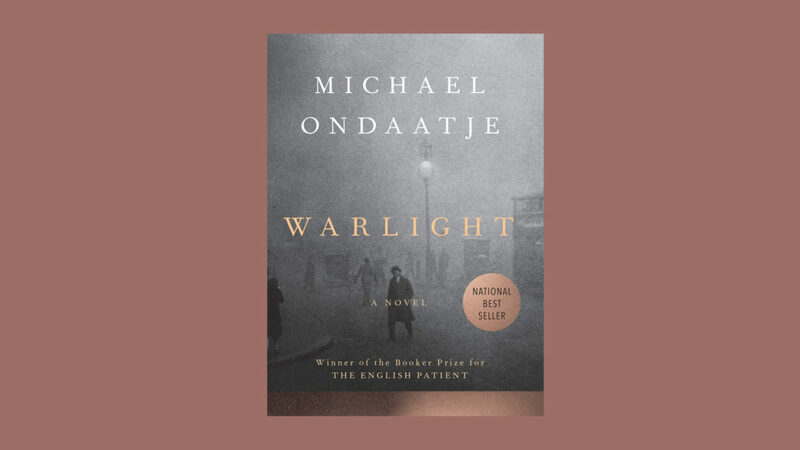 This month’s title is Warlight by Michael Ondaatje. In 1945 just after World War II, fourteen-year-old Nathaniel and his older sister Rachel stay behind in London when their parents move to Singapore, leaving them in the care of a mysterious figure named The Moth. They suspect he might be a criminal, and they grow both more convinced and less concerned as they come to know his eccentric crew of friends: men and women joined by a shared history of unspecified service during the war, all of whom seem, in some way, determined now to protect, and educate (in rather unusual ways) Rachel and Nathaniel. But are they really what and who they claim to be? And what does it mean when the siblings’ mother returns after months of silence without their father, explaining nothing, excusing nothing? A dozen years later, Nathaniel begins to uncover all that he didn’t know and understand in that time, and it is this journey–through facts, recollection, and imagination–that he narrates in this masterwork from one of the great writers of our time. To see upcoming Book Club events, click here. Free to Contributor-level ($150) members and above. The favor of an RSVP is requested.